We are seeking to establish interest in the formation of this new annex to the IEA Energy in Buildings and Communities (EBC) Implementing Agreement. The Annex will focus on the analyses of real building energy use at scale and the emerging field of energy epidemiology which seeks to develop robust approaches to such analyses. The first step in preparing an annex is for each country to complete a Technology Readiness Level Assessment (TRLA). However, since the subject of energy epidemiology cannot easily be compared to the development of a new technology we have decided to take a slightly different approach. Instead of a TRLA we have developed a questionnaire that addresses the current situation in each country. The questionnaire is set out below and we ask respondents to provide responses to each question as far as they are able and to indicate the level of confidence they have in their answers. 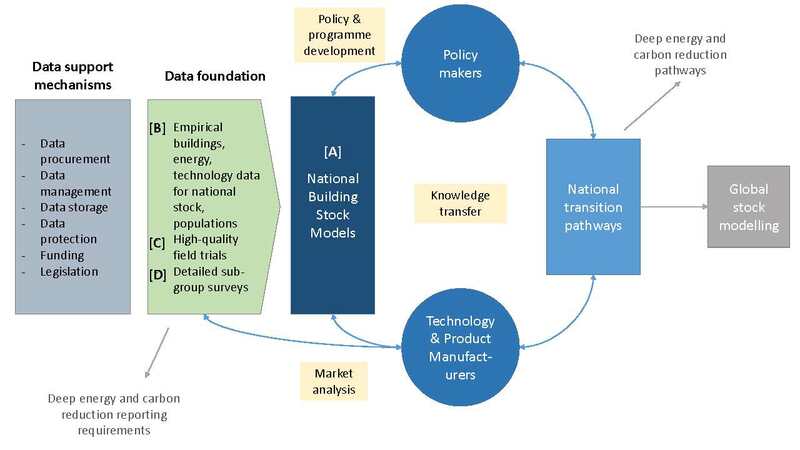 Figure 1 illustrates an idealised systems in which a national building stock model which builds off empirical data, field trails and sub-group surveys to inform policy making and the development and deployment of new products and designs for new buildings and retrofit. Such a model could inform the development of national transition pathways to deep energy and carbon reduction targets. We have set out below a series of questions that we would ask you to answer to the extent of your knowledge and understanding and where necessary to supplement your understanding with that of colleagues from within and outside your organisation. Please provide your responses using the questions set out in the following above four survey parts.